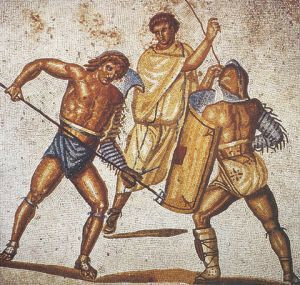 NOWE TŁUMACZENIE DZIĘKI WASZEMU WSPARCIU: "Entertainment in ancient Rome"
NOWE TŁUMACZENIE DZIĘKI WASZEMU WSPARCIU: "Gladiator fights"
Gladiator (gladiatores) was a wrestler fighting in the arena or amphitheater. His name came from the Roman sword, gladius. The duels themselves were called munus (pl. munera), which meant “sacrifice for the dead”. 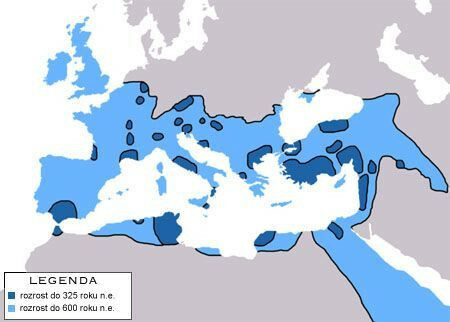 NOWE TŁUMACZENIE DZIĘKI WASZEMU WSPARCIU: "Black people in ancient Rome"
Ancient Romans, who had under their control, huge tracts of land certainly had to deal with the black population on a daily basis. Interestingly, the ratio of white to black race was not always beneficial only for the first one. 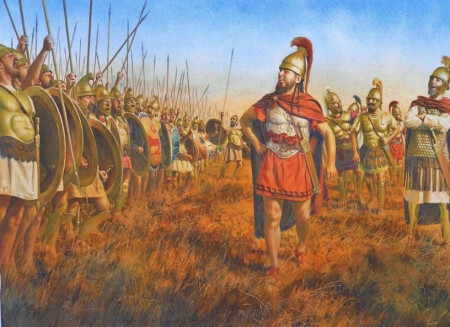 NOWE TŁUMACZENIE DZIĘKI WASZEMU WSPARCIU: "Battle of Baecula"
The conquest of New Carthage by the Romans was just one of the episodes of fighting in Spain. Although it increased Scipio’s chances of removing the Carthaginians from the Iberian Peninsula, it left open the issue of successful completion of the Spanish campaign by the Romans. NOWE TŁUMACZENIE DZIĘKI WASZEMU WSPARCIU: "Causes for the Fall of the Roman Empire"
The fall of the Roman Empire was a long – lasting process. To this day, scientists argue about when the fall of the Roman state began and what were its causes. The second we start to talk about the degeneration of the great empires, ancient Rome inevitably comes to mind. Edward Gibbon had no doubts: all the evil began at the end of Marcus Aurelius’ reign, and the main reason was the fall of ancient virtues caused by the spread of Christianity. Some of more traditionally thinking historians agreed with Gibbon, the others pointed to the political crises that plagued the Empire and the continuous barbarian invasions. 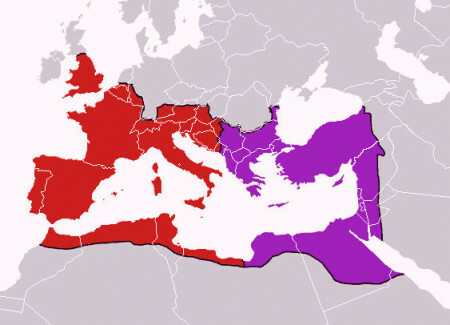 NOWE TŁUMACZENIE DZIĘKI WASZEMU WSPARCIU: "Christianization of ancient Rome"
The process of christianization of the Roman Empire from the birth of Christ to 476 CE, was very important for the state. 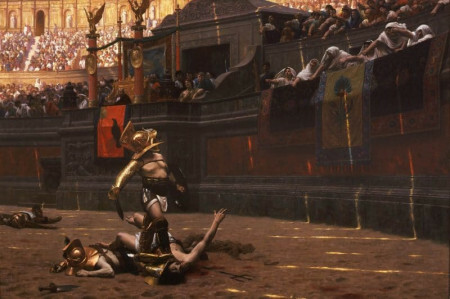 It is possible that Christianity largely destabilized Rome’s political life and led to its downfall. Christianity arose in the first half of the 1st century CE in the Roman province of Judea among the followers of Judaism, as a result of the activity of Jesus of Nazareth. NOWE TŁUMACZENIE DZIĘKI WASZEMU WSPARCIU: "Marian reforms"
Demographic depression after the Second Punic War led to the crisis in the Roman army. The policy of constant aggression carried out by the Senate and wars on many fronts required keeping lots of soldiers, which, with a drop in the number of recruits, was very difficult. This situation forced the Senate to prolong the mandatory period of military service. Such a step, in turn, affected the morale of legionnaires who, according to the law, should return to their estates or family farms acquired in the war. Exhaustion with constant fights and war campaigns was clear. 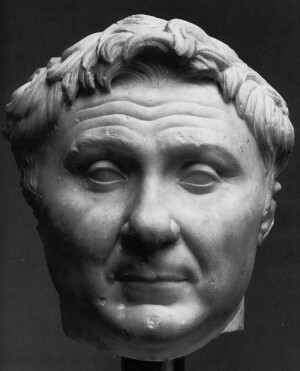 NOWE TŁUMACZENIE DZIĘKI WASZEMU WSPARCIU: "Gnaeus Pompeius Magnus"
Gnaeus Pompeius (called “the Great”) was born on 29 September 106 BCE as Gnaeus Pompeius. He received his nickname Magnus (“Great”) from the contemporaries because of his great political and military successes and his services to Rome. Roman commander and politician. son of Gnaeus Pompeius Strabo. NOWE TŁUMACZENIE DZIĘKI WASZEMU WSPARCIU: "Mark Antony"
Mark Antony (Marcus Antonius)) was born on 14 January 83 BCE in Rome. 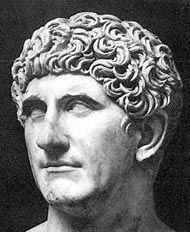 An excellent Roman commander, and at the same time a brilliant politician. 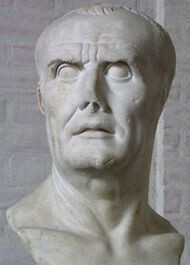 He was the son of Marcus Antonius Creticus and Julia, Caesar’s close relative. His grandfather was Marcus Antonius Orator, who was one of the best Roman speakers of his time.